Nexus 7 Toolkit is All-in-one toolkits that allow you to perform different activities such as rooting, unlocking the bootloader, install custom recoveries, install drivers and much more on your Nexus 7. 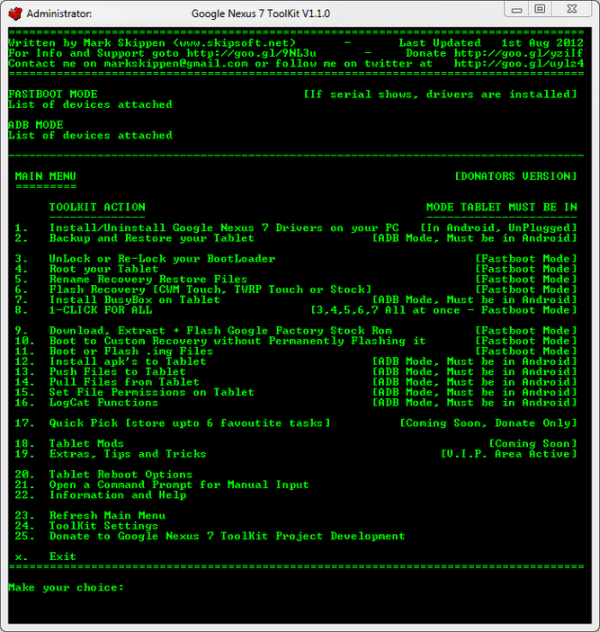 The Toolkit is for Newbies users who are new in Android hacking and want to hack their Nexus 7. From Toolkit, anyone can root and install custom recoveries in Nexus 7. The Nexus 7 Toolkit is compatible with Windows PC only and you can install this as a normal software.